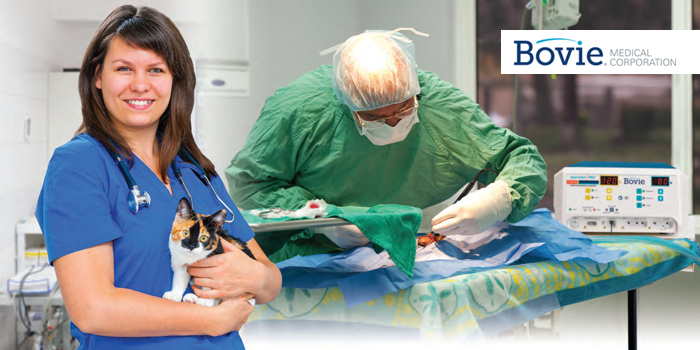 VBS Direct Ltd - Bovie Electrosurgical System - Innovative solutions for the veterinary professional. 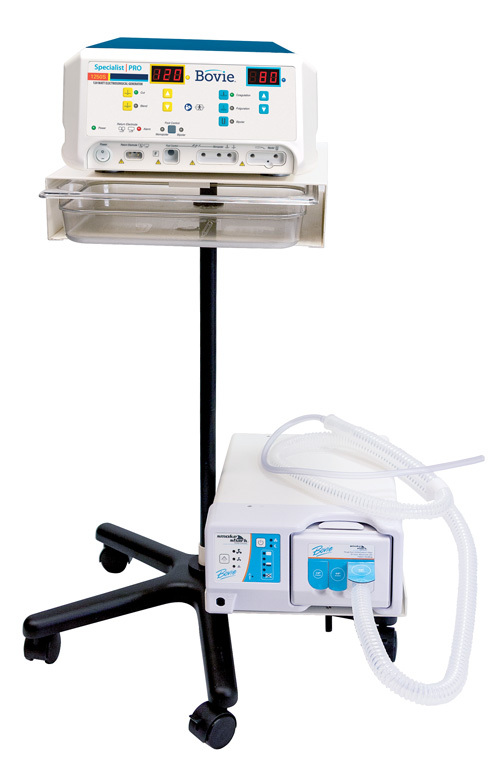 The Bovie 1250S-V, 120 watt electrosurgery generator combined with the Smoke Shark™ II smoke evacuator provides a complete and precise energy system with safe and effective smoke particle capture capabilities. Surgical smoke is a by-product of electrosurgery and can carry viruses, CO and other chemical and biological hazards. The easy-to-use Bovie Smoke Shark II Smoke Evacuator uses a 35-hour, four-stage filter (Pre-filter, ULPA, 24oz Carbon, Post-filter), to effectively capture smoke and particles at the surgical site, down to 0.01mm with 99.99995% efficiency. The system includes a mobile stand with instrument tray and is ideal for the veterinary office, clinic and surgery center.